‘A community activist in the best tradition of Kensington and Chelsea … a person who gives his time selflessly to the community … valued for his fair and level-headed approach to local issues and problems; his concerns are particularly for older residents.’ These are the words of Council Leader Sir Merrick Cockell at Keith’s Mayor’s Award in 2010. Keith Stirling was born and bred in the borough; he is famous for his 14 charity cycle rides from John 0’ Groats to Land’s End for Sixty Plus/Age Concern. 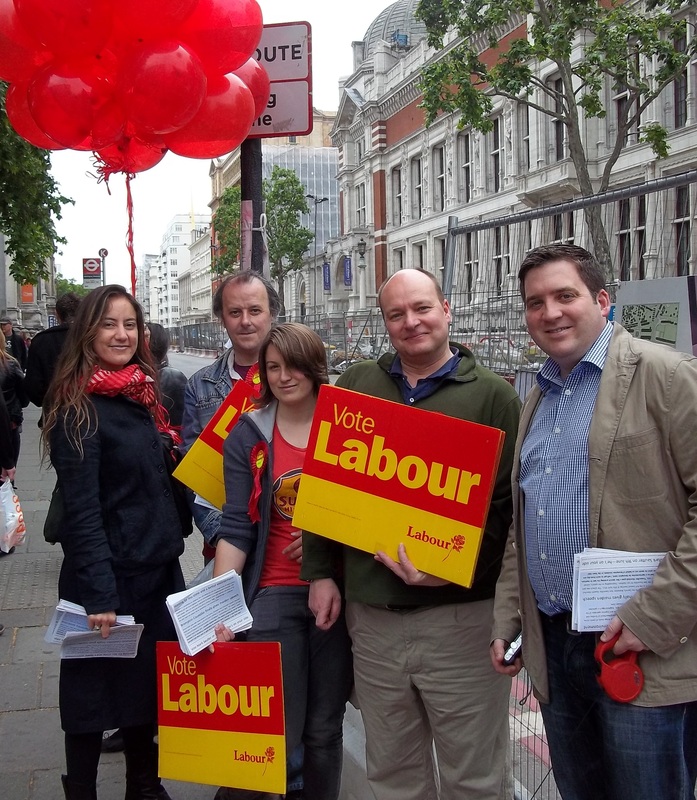 HOUSING: Queens Gate Ward is a wealthy area but there are hidden problems. Keith is worried about those living on controlled rent or in private rented homes dependent on Housing Benefit. Queens Gate also has a large number of home owners reliant on Housing Benefit, which is being cut. Keith is a seasoned housing campaigner and will fight for all his residents. EXHIBITION ROAD: Many of you expressed disgust at the Council spending £22m of your money on paving Exhibition Road, a scheme unsuitable for people with limited sight or mobility. The cancelling of step-free access to South Ken tube will make it more difficult for those with mobility problems. 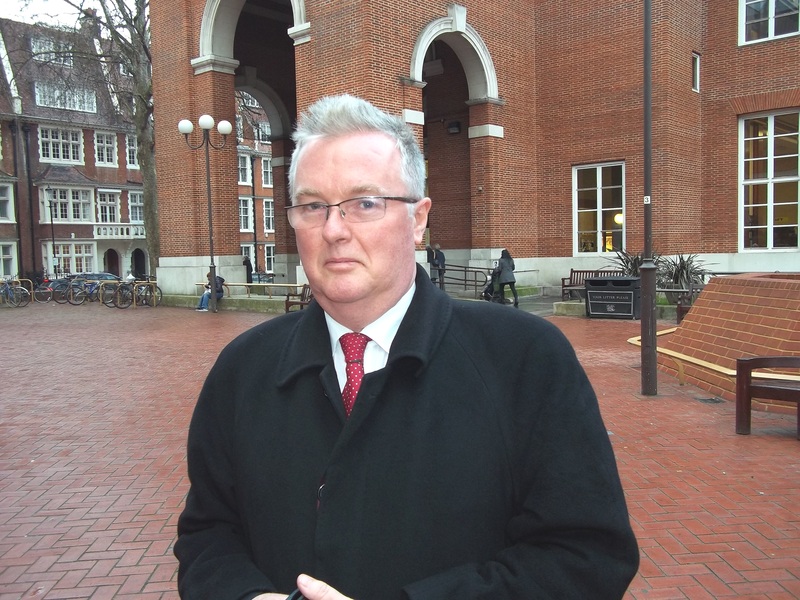 Your Labour candidate Keith will lobby for improvements, saying: ‘Cllr Moylan is vice-chair of Transport for London and should be fighting for better access not making it worse’. DOGS: Kensington is a dog-lover’s paradise, with wide pavements, plenty of trees and beautiful parks. But dog mess is a problem. 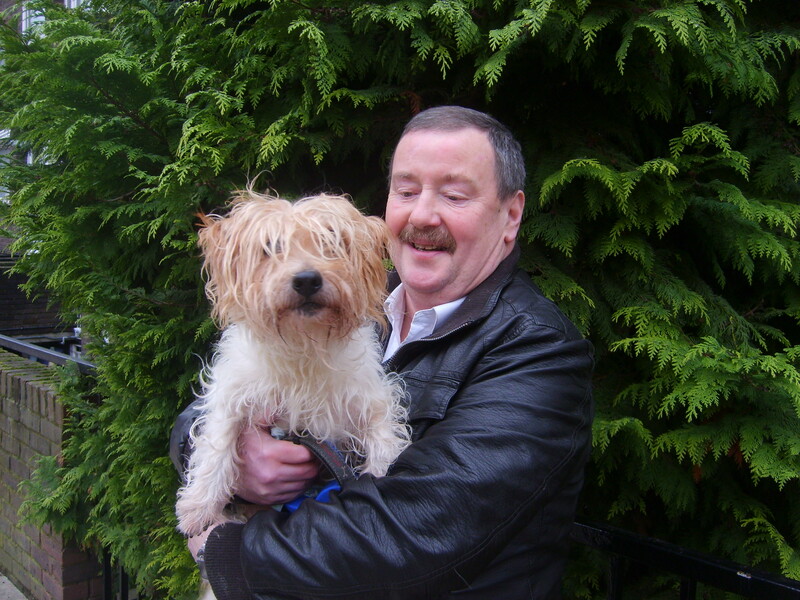 Keith is devoted to his dog, Stumpy, who is old and blind but no less lovable, and will fight for better facilities for dogs, and for dog mess bins on every road to help dog-walkers clean up. REFERENDUM for Directly elected Mayor: Like many of you, Keith is sickened by self-serving Tory Councillors who hand the prize of Mayor to whoever is in favour that year. Keith pledges to run a Petition for a Referendum for a Directly Elected Mayor. This means that YOU will choose who becomes Mayor. ADVICE SURGERIES: On the doorstep we heard concerns about how you will manage tight budgets as food and fuel prices rise and incomes drop. You told us you are worried about the Tri-Borough working with our neighbouring boroughs and how that could affect local services. You are worried about being able to stay in your own home. 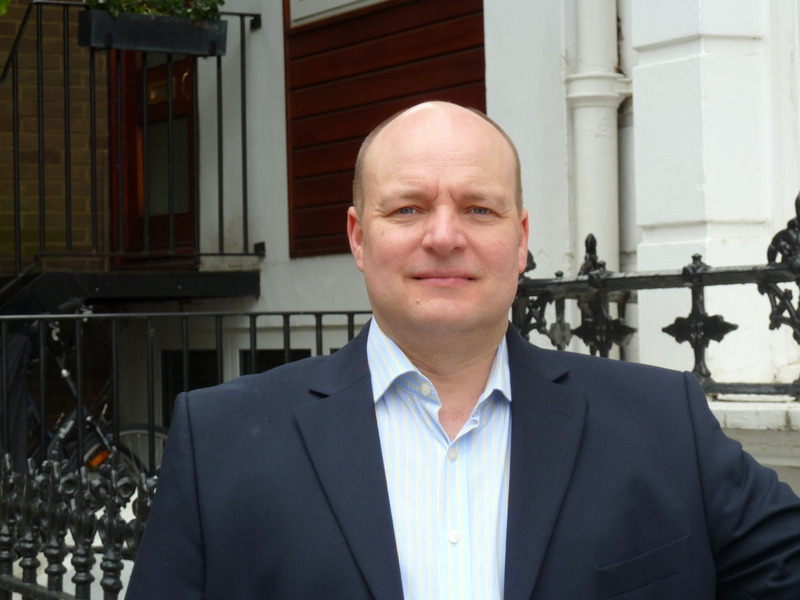 Local activist Mark is a long-time borough resident and a chartered accountant who would be happy to represent Brompton ward. He says: ‘Brompton is a neighbourhood not a shopping centre; the needs of residents should always come first, and I am looking forward to fighting for the interests of residents as their Councillor’. WORKING FOR LESS CRIME AND A BETTER ENVIRONMENT: Brompton is a destination for shopping, bars and eating out, but this brings levels of street crime, shoplifting and anti-social behaviour that are unacceptable in a neighbourhood of families and older people. Mark will work closely with police to reduce crime and improve operation of the group dispersal zone to deal with drunks and car racing at night. 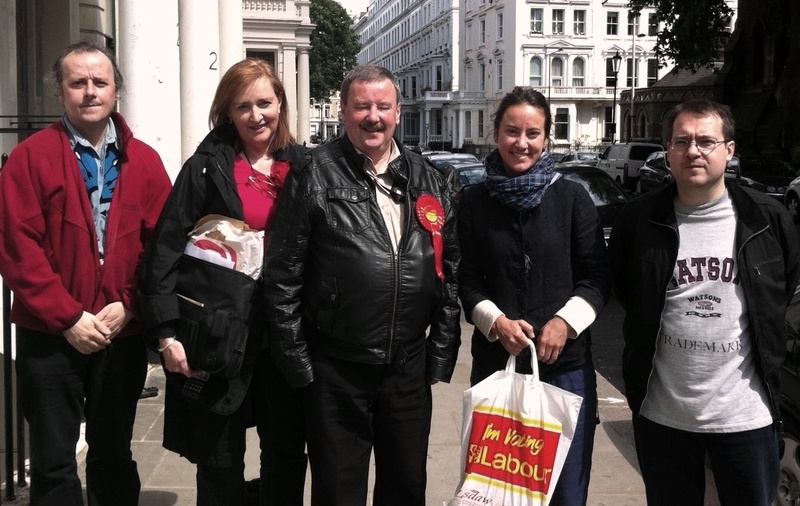 Knightsbridge is a pollution hot-spot; Mark will address this by demanding a Low Emission Zone. DOGS AND PARKS: Kensington is a dog-lover’s paradise, with wide pavements, plenty of trees and beautiful parks. But dog mess is a problem. As a dog owner, Mark will fight for better facilities for dogs, and demand dog mess bins on every road. PLANNING: Residents have told Mark that they believe the Council favours business over local people when planning applications are considered. Mark knows that outdoor cafes with long opening hours can cause problems for those who live nearby, and he will lobby the Council to restrict hours and control problem areas. REFERENDUM for Directly elected Mayor: Like many of you, Mark wants to challenge self-serving Tory Councillors who hand the prize of Mayor to whoever is in favour that year. Mark pledges to run a Petition for a Referendum for a Directly Elected Mayor. This means that YOU will choose who becomes Mayor. Up to 10,000 people may be moved out of the borough unless Kensington and Chelsea Council takes immediate action. Cuts planned by the Conservative/LibDem coalition government to Housing Benefit, Local Housing Allowance and Temporary Accommodation subsidy will hit over 4,000 households, many of whom will have to find an extra £100 a week or more to stay in their homes – or face eviction. Labour councillors called on the Conservative-run Council to condemn their government’s indefensible proposals at the Council meeting on 13 October. Labour has been warning since February that the Tories’ proposed cuts would mean the enforced migration of many of the poorest residents out of the borough to ‘low demand’ (ie cheaper) parts of London – or out of London – but were accused of scaremongering. However LibDem Deputy Leader Simon Hughes has recently admitted that the government’s housing benefit cuts mean ‘we might have to send people to cheaper parts, even if they don’t like it’. Cllr Tim Coleridge, the Tory Council’s Cabinet Member for Housing said: ‘people will have to move to find alternative homes that they can afford’. This has all been confirmed in a report to the September Housing, Health and Adult Social Care Committee, which concluded: ‘The potential for central London and the Royal Borough to effectively become a residential no-go for anybody on a low income looking to rent is real .. [including] long-standing families who may have lived in the borough all of their lives’. So, has the Council carried out a social equality impact assessment on this policy as required by legislation? Do they realise it is against their own Community Strategy and equality scheme ‘Towards an Inclusive Kensington and Chelsea’? Labour came within 19 votes of winning Cremorne ward in last week’s by-election, with an overall 17% swing to Labour from the Conservatives and Lib Dems. Labour’s candidate Mabel McKeown won a clear majority of votes cast on the day. 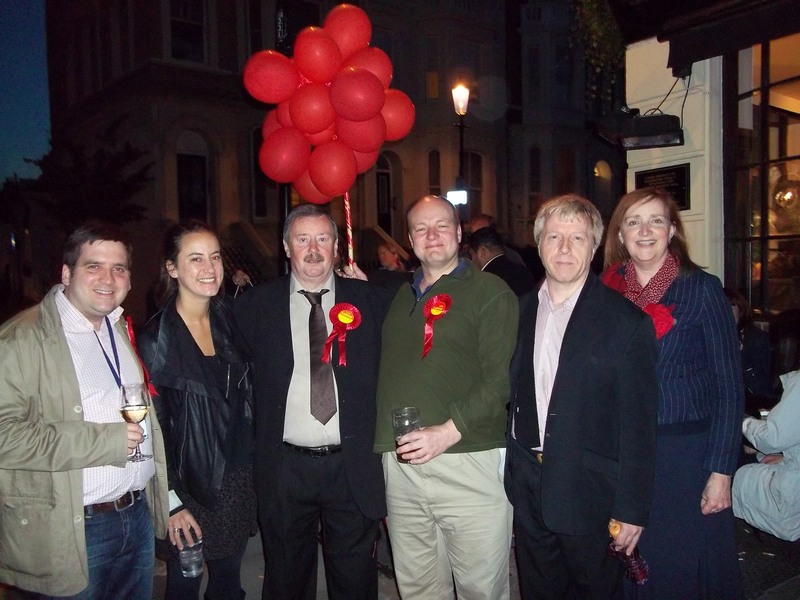 Residents on the World’s End, Cremorne and Guinness Trust estates turned out solidly for Labour. The Conservatives scraped in by organising postal votes from the wealthy eastern end of the ward. In a letter to Cremorne voters Mabel pledges that Labour will not abandon Cremorne. • make sure the Tories know that the votes of people in Cremorne can never be taken for granted again. Many residents still remember the Labour councillors who represented them before 2002, when the ward’s boundaries were gerrymandered to give the Conservatives a majority. In Earl’s Court ward the Lib Dems beat the Tories after a frenetic campaign fought entirely on local issues. Last Thursday was a bad night for the Conservatives – with several Tory councillors tottering on the edge of retirement, we predict it will be the first of many to come. 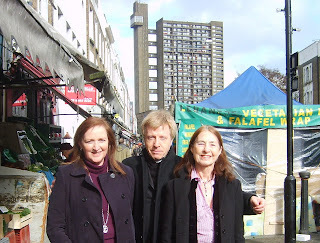 I am increasingly frustrated with the activities of certain members of the community who, apparently for political reasons, have talked down Portobello Market to the extent that visitors are being told that the Council, or ‘they’, are actually closing the market down. One unhappy tourist, who believed the rubbish they had found on the 34,000 Facebook site, even wrote to THE QUEEN to ask her to intervene in the closing down of the market. The Council has indeed been weak and confused – to an extraordinarily unhelpful degree – in its message about the market, but there is no way it intends to shut it down. While we go about educating the Council on how to deal with this, I would like to put out another message about the market. I luuuurrrve markets, and our Golborne and Portobello Markets in particular, and have visited several times a week for nearly a quarter century. I have also studied the history of the market, which goes ‘way’ back. There are peaks and troughs, and if, for some mysterious reason not unconnected to global recession, the antiques section of the market is struggling, that is very very hard for the traders there and they have my total sympathy, but this WILL change soon. There are still plenty of visitors and they will start spending very soon rather than just looking – soon enough I hope for you all to survive. A bit further north, however, things are different. Golborne Market, which encompasses Golborne Road and the upper reaches of Portobello (what I like to call ‘Upper Portobello’ to stop people calling it ‘THE BOTTOM’) is enjoying a renaissance as foodie heaven. The hot food stalls there, some there all week and others Thurs, Fri and Saturday, are just amazing with fabulous and economically priced food and the most amazing atmosphere as you can watch your meal or snack being prepped and cooked before your eyes. This is quite exciting as many of the ingredients are locally sourced, locally cooked, and of course, locally consumed. 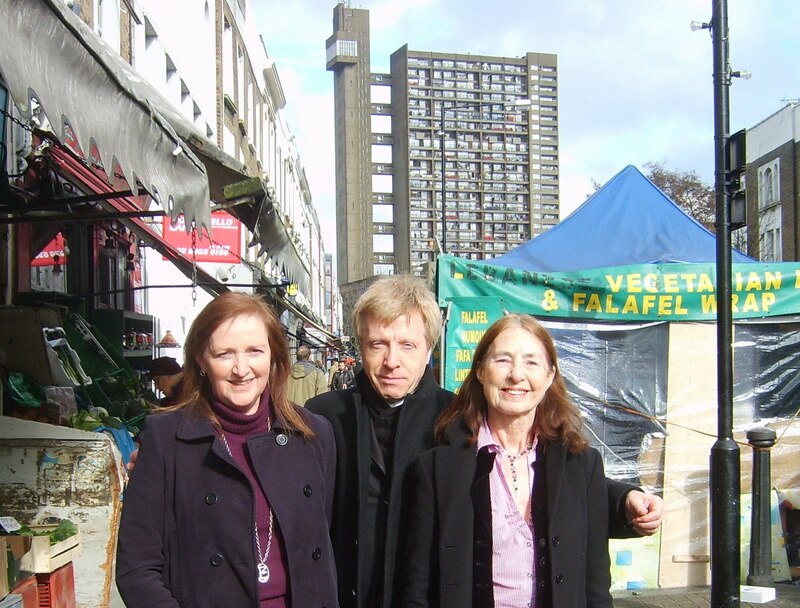 A new enterprise here, which we hope will reinvigorate the section of Portobello just north of Golborne Road, is the Global Food market, involving some of the local eateries, which we hope will consolidate the fantastic work other hot food stalls have done along Golborne Road. So, Golborne Market – alive and cooking. Come and eat with us when you have finished your market shopping.